In keeping with City Club traditions, Mayor John Hickenlooper will open our program year on Tuesday, September 7, 2010. Please join us in hearing the Mayor's thoughts on the state of our city. We will learn how Denver’s economy and market have fared in this recession, what the impact has been on the city and people, and what is on the horizon for the next year. A geologist-turned brewpub pioneer who had never run for political office, John Hickenlooper was elected Mayor of Denver in 2003 and re-elected in 2007. In April 2005 - less than two years into his first term - Time Magazine named the political newcomer one of the top five “big-city” mayors in America. Hickenlooper brings creative leadership and innovative thinking to Denver’s City Hall, drawing on his diverse background as an exploration geologist, real estate developer and restaurateur. After the collapse of the oil industry in the mid-1980s, he found himself with a healthy severance check, no immediate job prospects and time on his hands. He spent two years developing the Wynkoop Brewing Co., the first brewpub in the Rocky Mountains and one of the largest in the world. The Wynkoop was sold in 2007. 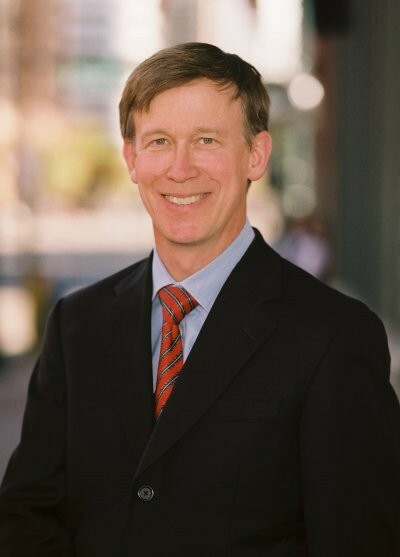 A respected entrepreneur, Hickenlooper was also involved with numerous downtown Denver renovation and development projects and is credited as one of the pioneers who helped revitalize Denver’s Lower Downtown historic district. Long before considering public office, Hickenlooper was active in community affairs, serving on numerous civic boards and leading a grassroots campaign to preserve the “Mile High Stadium” name in 2000. Since taking office, Hickenlooper has increased civic engagement and participation throughout the city and Denver metro region, building strong bonds and partnerships that transcend partisan and geographic lines. His integrity, sense of humor and accomplishments renew public faith and trust in City Hall, and his boundless energy, enthusiasm and creativity generate tremendous optimism and confidence in Denver’s future. Under his leadership, Denver recently hosted the 2008 Democratic National Convention, showcasing the energy, spirit, values and innovations of the New West and earning widespread praise as the greenest political convention ever.